One of my good friends who shares the same star sign with me sent me this picture, asking my opinion whether it is true. Well, I said to her that I have no clue what “it” refers to, but for what its worth, everything is possible with a star sign that is notorious for being utterly passionate. 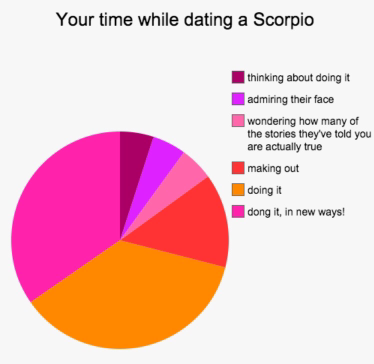 Anyone currently dating a scorpion girl to clarify this?